The Colts got some good news as it looks as if LB Clint Session will be able to give it a go this week when the Colts take on the Packers. Subscribe to Colts Gab via RSS Feed or E-mail and receive daily news updates from us! Are the Colts a Darkhorse to Win Super Bowl LIV Next February? Sign up to receive our daily Colts Gab newsletter, and keep up to date with all the latest Indianapolis Colts news. 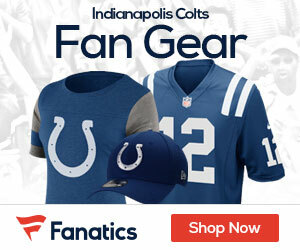 Celebrity Seats has all the best Indianapolis Colts Tickets and Indiana Pacers Tickets!